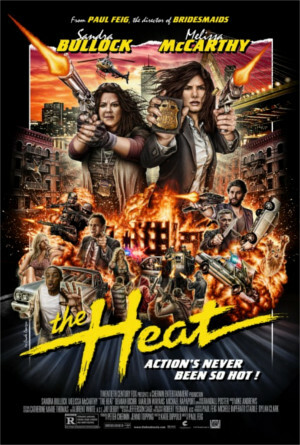 This week director Tamra Davis (Billy Madison, Half Baked, CB4) sits down with April to discuss Paul Feig's The Heat. Tamra takes April through what it's like directing comedies, how she worked with actors Adam Sandler and Drew Barrymore, and collaborating with comedy writers during a shoot. She also discusses the wonderful experience of directing the uber famous Britney Spears during the filming of Crossroads. April and her dissect Melissa McCarthy's performance in The Heat and her ongoing work with director Paul Feig. Tamra also details what it's like directing action scenes and the collaborative process of making a movie. Plus Inkoo Kang stops by to discuss why people should donate to the MaxFunDrive and Switchblade Sisters.